Bears and cubs, fathers and sons. A good episode with a bittersweet ending. I was hoping for more of a funny, caper-y kind of episode, but this one was just fine. Even though it got more and more bizarre as it continued. 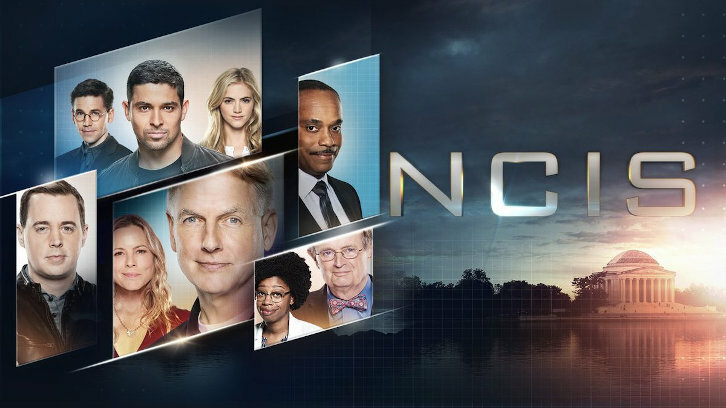 All of the NCIS fathers, both biological and those who become fathers through years of love and support, got screen time here and used it well. I’ve been trying to write this review all week, but every time I think about Ed and his various machinations I have to go and lie down. Every Ed thing gets weirder and weirder as it goes on. Sigh. 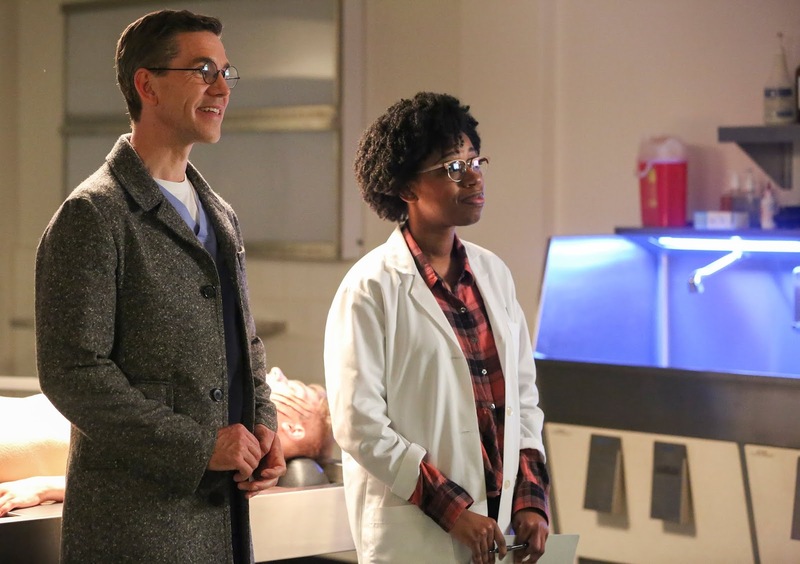 Once upon a time, there was an Assistant Medical Examiner called Jimmy Palmer. He arrived when Gerald, Ducky’s former assistant, was getting physical therapy for an injury he sustained from Ari and never left. Jimmy was of a socially awkward, gawky kinda guy who had a was intimidated by Gibbs (who isn’t?) and had an unfortunate habit of saying the wrong thing at the wrong time. He rambled. He has a bad sense of direction that possibly hasn’t changed, and initially a bad choice in women as explained by his completely creepy, inappropriate relationship with Agent Michelle Lee (RIP). He broke up with her when he figured he was being used, but ick. I mean the autopsy table? He loved Ducky’s stories and sang in a barbershop quartet when he was in college. Over time, Jimmy grew into life at the Navy Yard. He became less spooked by Gibbs and became more active as a member of the team. His confidence grew, especially when he helped Tony when he was in charge and worked more closely with Abby. He met a beautiful mortician named Breena Slater, courted her, and eventually asked her to marry him. They agreed on a wedding in Florida, which was delayed due to Ducky’s heart attack on the beach and the bombing of the Navy Yard. They eventually said “I do”. Later they tried to adopt a child and were thrilled when a birth mother chose them. I will never forget Jimmy sobbing in Autopsy when the birth mother changed her mind at the last minute, and Gibbs holding him tight. They later had a biological child they named Victoria, after Ducky’s mother. But there were still bits of uncertainty in Jimmy, including the fact that after passed his medical boards (third try, but still!) he didn’t tell anyone at work because he didn’t want to screw up the dynamic. You know who he told his to? A guy on a ledge! Jimmy was sitting next to him, trying to talk him down. Jimmy is a good man who kept growing quietly as a man over time on the show, much like Gibbs. The real story in this episode is about growing up and taking responsibility. There are two “bad” parents in this episode: Ed Slater, Breena’s father and Jimmy’s father-in-law and Henry Deng, the father of the man who murdered Braddish, the primary victim in this episode. These men let their sons run roughshod over their own lives with fathers who enabled them by letting them. As this increasingly bizarre episode ambles along Ed’s story become more and more head-shaking; first he disguised a body as a bear attack so that his $50,000 gambling debt would be forgiven. Apparently he thought that Jimmy wouldn’t figure out that Braddish was stabbed and just write it off as a bear attack. This is because Ed is an idiot and apparently doesn’t think Jimmy has the skills or integrity to do his job well. Come to find out that the debt is his son Steve’s and it was actually $200,000 and by the way, Stevie is being held hostage by someone until the body is disposed of. Which Ed could totally have done, as he owns a mortuary. However, he’d rather just let Jimmy lie and say that it was as bear attack, so he tries to pull Jimmy in as an unwilling co-conspirator. After unwillingly lying to Gibbs(! ), Jimmy admits his own, very small, part in Ed’s scheme and Gibbs tosses him into Interrogation and shouts a little but mainly gives him a bit of a pep talk and tells him not to lie, tells Jimmy to write it all down, then prepare the body so that it’s presentable for Braddish’s family. Gibbs = father figure. Once Gibbs gets Ed into Interrogation, though, he isn’t so kind, and Jimmy gets to shout about how easy Ed is on Stevie and all of the things Stevie has done (drugs, real estate scams, all kinds of hijinks that Ed has covered up). Ed makes all kind of excuses for his little man-child, but nobody really cares. When they get out into the hall Ed takes his anger and frustration out on Jimmy. Apparently, since Jimmy grew up “unencumbered” by the problems Stevie has, he couldn’t possibly understand. My theory that nearly every NCIS character has issues with their father is bolstered as Jimmy shares a bit about his past with his father-in-law, who seems to have never asked Jimmy about himself at all. Jimmy’s father died when he was 10 years old, and from Jimmy’s tone you understand what he means when he says that his father was “not a nice man”. He didn’t forgive his own father until he became one himself, and it was a long time coming. 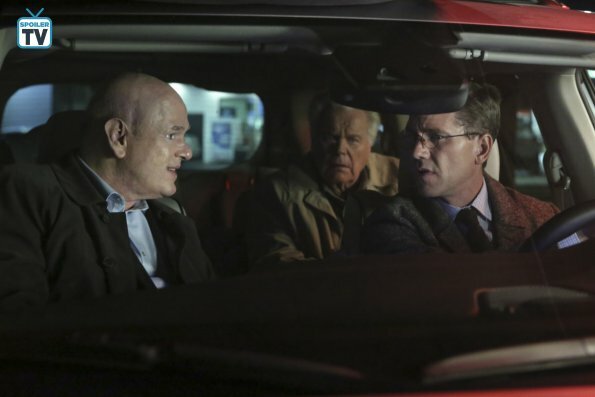 Jimmy tells Ed that his' lucky to have two father figures at NCIS, but Jimmy had hoped in some way that Ed could be one, too. But Ed is Ed, and Jimmy doesn’t see that happening. Besides, he has to help solve Braddish’s murder. But first he takes a minute to chat with Ducky about why he was so rude when Ducky arrived earlier and wanted to look at the body. Jimmy was afraid that he’d be a shame to his profession by lying. Ducky hugs him and says, “Jimmy, you are an honorable man,” Father figure No. 2 = Ducky. Meanwhile, Braddish’s killer is identified as Kenny Deng, a billionaire layabout whose father Henry is a tech giant in Singapore. Since Henry happens to be in town and the gang is looking for Kenny, they pull Daddy in to see if he can be any help. Of course, he denies that Kenny could do anything like killing anyone, but as he’s leaving Ed pulls him aside. He’s finally got some sense into his head and tells Deng that since Stevie and Kenny have no consequences for their actions things keep escalating. The boys think it's okay because their dad's bail them out. I would like to take a moment to mention that the "boys" in this case are in their mid-twenties. Deng agrees, and tells Gibbs and Co. where they might find Kenny and Stevie. They go to the dock where Kenny is hiding and arrest him, rescuing Stevie in the process. Did anyone notice that Stevie ran straight to Jimmy instead of Ed when he was released? Ed then calls Jimmy “son”, and you get the feeling that he actually means it. Hopefully with Jimmy’s support Ed can start to get Stevie on the straight and narrow. I loved this Jimmy story, it was full of chances for him to show everyone how far he’s come, and how his father figures respect him as much as he respect them. He also gives Ed pause when he tells him about his father; I think Ed is seeing Jimmy for the first time and realizing what great man his daughter married. Ed should have made any kind of effort to have a relationship with him, and Ed is lucky that Jimmy’s giving him a second chance. You don’t want a man like Jimmy Palmer to get away. I’m glad Senior helped Ducky understand that there is a life beyond the one he has as long as you have a life, and that you can move on a reinvent yourself again. I think that helped him move on and away from NCIS, although I hope we’ll see him again from time to time. Gibbs looked sad when Ducky walked out of his house to join Senior, and I don’t just think it was because he and Senior went to the Marine Corps Scholarship Foundation Ball without him. Gibbs had a father figure of a sort, too, and now he’s gone away. I feel sorry for Mr. Braddish, whose story I felt never really came to a close that we saw. At least he won’t have to think that his son was eaten by a bear. Ed could have gotten away with the Bear story himself if he tried. He owns a mortuary and could have had a death certificate made or bribed someone to get it. He was just trying to get out of it and expected Jimmy to fix everything for him by declaring it a Death by Bear. Hummm…I wonder where Ed learned that behavior from? Maybe his own dad? Glad Senior didn't talk about Tony or Ziva; that wasn't what he was there for. Then again, it would have been nice for he and Jimmy to compare pix of Tali and Victoria, or tell Ellie that Tony got the things from Ziva's office that she shipped. Just a little thing or two. Ducky and Senior are the hot new bachelors in town. They've got some protection and are all spiffed up and ready to go. Seriously. I’d like to see a couple of episodes with the pair of them helping to solve a crime or hitting the casinos in Monte Carlo. Go Ducky, go. If anyone can find a picture of Ducky and Senior in their finery I'd love to add it to this review. Let me know!